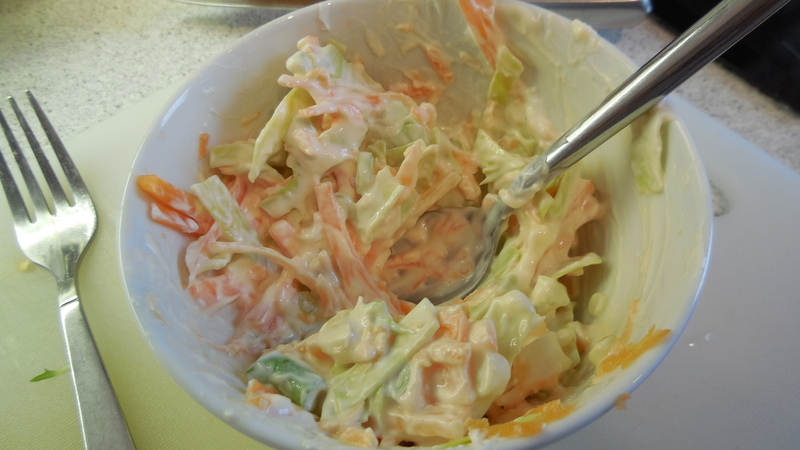 Combine the yogurt, mayonnaise, and cider vinegar; mix well. Add the sliced vegetables, and stir to coat well. keeps in the fridge for 2-3 days.